Register your Xkey and extend your warranty! At CME we’re constantly thinking of ways to improve the Xkey experience. By registering your Xkey keyboard, you’ll go to the front of the line for getting news about new products, services and promotions. It easy: just leave your details on our Xkey registration page. More info below. Register with the app, or via the webpage. Then complete the form to submit your registration. Keep in mind that if you provide a valid proof of purchase (copy of your invoice), we’ll extend your Xkey warranty by one full year! Then follow steps to register your product. 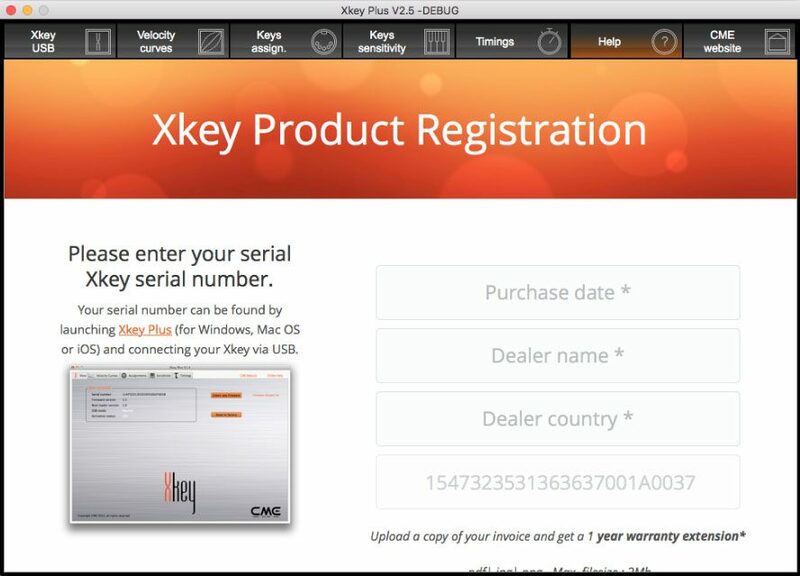 You will need your Xkey serial number, that can be found using the Xkey Plus configuration software. – Cubasis LE studio bundled with Xkey from September 2016. Link. – Xclip ‘guitar strap’ adapter for Xkey. Link. – WIDI Bud bluetooth adapter for Xkey USB models. Link. – New Xkey Air models have built-in bluetooth. Link. 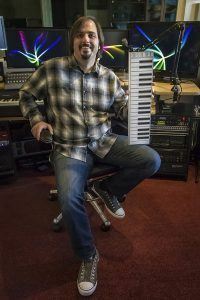 – Xkey piano app helps new musicians learn faster. Link. And we’ve got a lot more exciting news in the pipeline … including a very special announcement for musicians who want to market their compositions. So please register now. PreviousPrevious post:Xkey Mobile Keyboard Bundled With Steinberg Cubasis LENextNext post:Musicians. 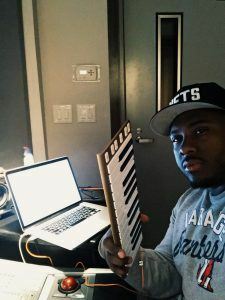 Connect Any Blue MIDI Instrument To Any PC, Tablet Or Smartphone App. This is not a comment!! i wish to buy a cme xkey 25…can you send it by postoffice…in thailand..
Thailand is near china..( CME is chinese?? Sorry, we do not sell SM58.